As the month of ramzan comes, people wrap up or arrange their work schedule in such a way that they are able to have iftar with their loved ones. Thus, we can say that ramzan brings people closer. The feast we have at iftar turns out to be the best part of ramzan. Dishes which we don’t usually have in normal days like dahi barey,pakora,samosay,channa chat, are accompanied by our very own traditional Laal sharbat while others like me prefer chilled Pepsi.Yeah seriously at times even I end up having Pepsi at Sehri too. 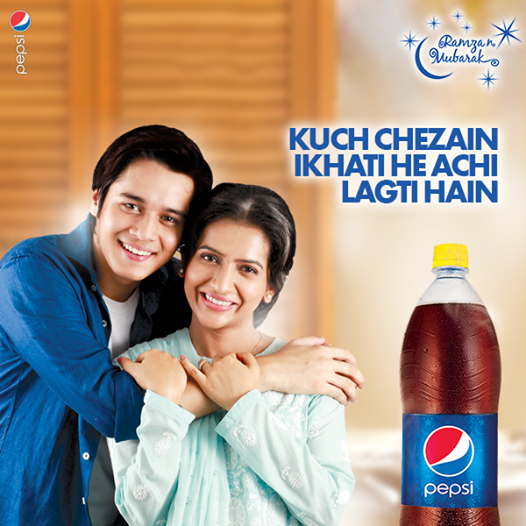 Pepsi has launched its ramzan TVC with the tag line ‘Kuch Cheezan ekhati achi lagti hain’ (Some things are better together). The TVC highlights the relationship between family members and Pepsi & Lays. A young lad is out with his friends while his mother is preparing iftar at home and gives him a reminder call to have iftari with the family since its nearly iftar time, upon which he says he will have it with his friends. He passes by his friend’s house where he sees their family taking a selfie and celebrating the roza khushai of the little one. That’s when he becomes nostalgic and remembers the time when he had kept his first roza. Then moving on he goes to a nearby shop along with his friends to buy Pepsi & Lays where the shopkeeper say’s “Kuch Cheezan ekathi achi lagti hain”saying that the shopkeeper’s little son rushes in saying that I’m waiting for you for iftar,upon which the young boy gets emotional and reminisces about the time when he had once waited for his dad the same way. He realizes the importance of his family and rushes back towards his home to enjoy iftar with his loved ones. 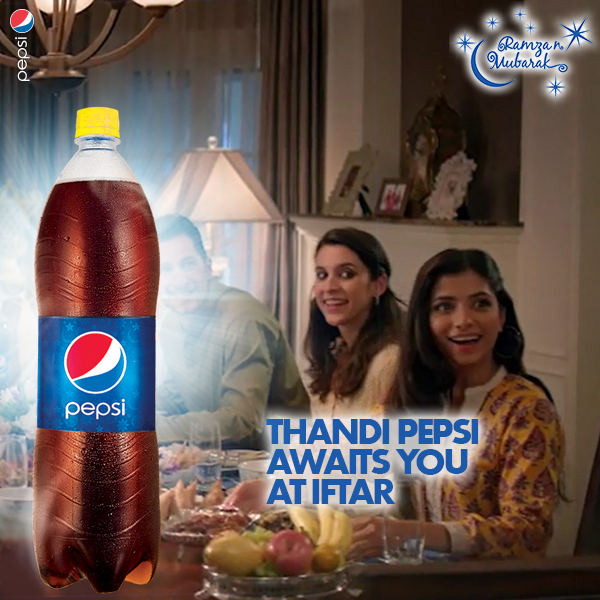 I myself can relate to the young lad in the Pepsi TVC.For the past two years in ramzan, I myself have not been able to have iftar with my family, because I tend to go out with my friends a lot. But after watching this TVC,it made me realize that we should have the Iftar with family, because no matter whatever happens in life,my family will always be there for me. As the true essence of ramzan won’t be extracted to the fullest. The Ramzan TVC is so emotional that it made me nostalgic. So for me Iftar is incomplete without my family. I also request you all out there to have Iftar with your family rather having it with friends. Family comes first no matter what.Friends are precious too but I guess the key is to balance out how you divide your time wisely. Iftar is complete only when the whole family sits together, so celebrate this Ramadan with your loved ones.